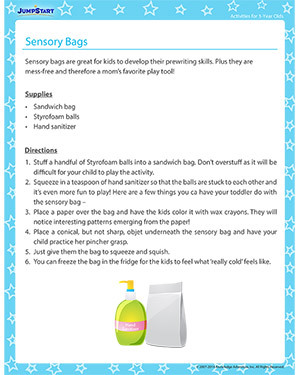 Moms love to indulge their little ones in sensory activities unless they turn messy and double up a mom’s work at home. This is a magic preschool activity for 3-year olds that is a wonderful sensory exercise for the kids as well as a useful icepack to be used in emergencies at home. Try out our other activities if you like this one.